Go raibh míle maith agaibh as an vótáil ar fad! Beimid ar bís ag fanacht ar scéal. We eagerly await the results. They're already winners in our eyes! #Doodle4Google - Have you voted today? 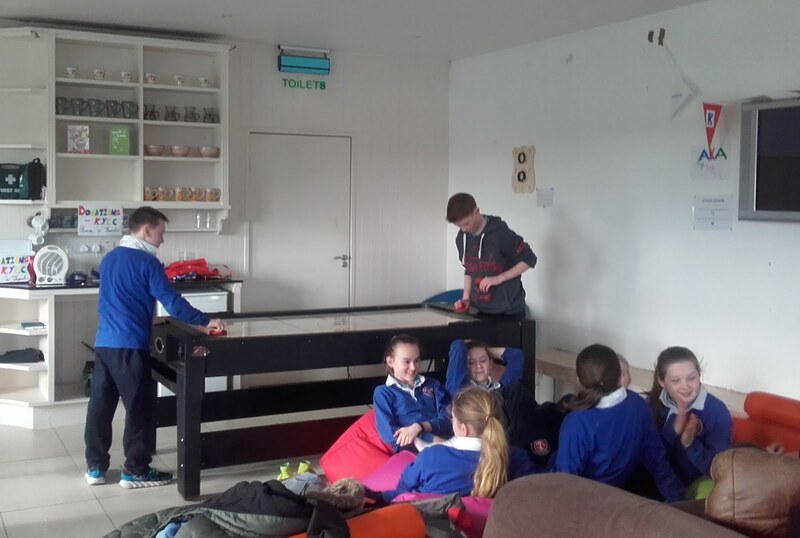 Thug Rang 6 cuairt ar 'Kinsale Youth Cafe' 20/02/17. Bhain siad ard-taitneamh as. Tá an caife oscailte i rith na seachtaine. Rang 6 visited 'Kinsale Youth Café' 20/2/2017. They really enjoyed their morning. 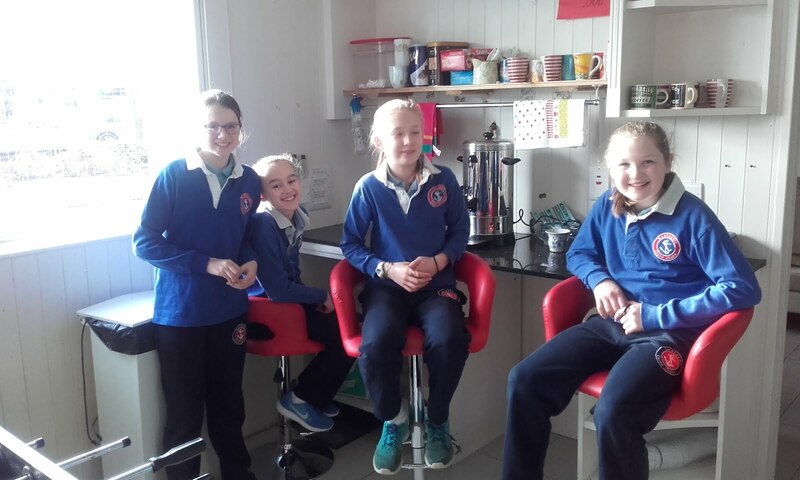 The café is now open every week for the youth of Kinsale. Tá siad ag lorg foireann dheonach, áiseanna agus tabhartais. Má tá suim ag aon duine, cuir glaoch ar Trish Uí Riain, 0879475367. The café is now looking volunteers, items and donations. If anyone is interested in helping out in any way, please contact Trish Uí Riain, 0879475367. Go raibh mile maith agat Trish. Bhí maidin iontach ag Rang 6. Thank you Trish. Rang 6 had a great morning! Tá roinnt geansaithe ar strae, cuardaigh sa bhaile le bhur dtoil agus seol isteach iad. Some of the school jerseys are missing. Please check at home and return them as soon as possible. Tá treanáil iománaíochta agus camógaíochta Sciath na Scol do cailíní agus buachaillí rang a 5 agus rang a 6 ag tosnú i ndiaidh briseadh meán téarma, gach Céadaoin, ag tosnú ar an 01/03/17 2.30-3.30 ar scoil. After school Hurling and Camogie training will commence after mid-term break every Wednesday, beginning 01/03/17 from 2.30-3.30, in preparation for the Sciath na Scol competition. All 5th and 6th class boys and girls welcome. Táimid ag déanamh tomhas le haghaidh róbaí an tseachtain seo. Tá súil againn go mbeidh na hainmneacha naoimh roghnaithe roimh an briseadh meán téarma, Céadaoin 23/2/2017. This week, we will be measuring children for their Confirmation robes. We hope that everyone will have decided on their Confirmation names before the mid-term break, Wednesday 23/2/2017. Tá "Searmanais an tSolais" ar siúl ar an 23ú de mhí an Mhárta ag 7.30. The parish "Ceremony of Light" mass will take place on the 23rd March 2017 at 7.30pm. Mar is eol daoibh faoin dtráth seo tá an Aifreann don Chóineartú ar siúl ar an 7ú de mhí Aibreán. An t-am atá socraithe dúinn ná 10.30am. Tar éis an Aifrinn, beidh tae agus caife le fáil san 'Friary Hall'. As you're all aware by now, the Confirmation mass will take place on the 7th of April. The time has been confirmed as 10.30am. After the mass, there will be a tea and coffee reception in the Friary Hall. Táimid go léir ag súil go mór leis an lá speisialta! We are all looking forward to this special day! Comhghairdeas leis an bhfoireann díospóireachta i rang a 6 a bhuaigh i gcoinne scoil Garranassig ar an Aoine 10/02/17. Go n-éirí leo sa chéad babhta eile! Congratulations to our 6th class debating team who won their debate against Garranassig National School last Friday 10/02/17. Best of luck to them in the next round. Beidh Aifreann don Chóineartú ar siúl Dé Domhnaigh seo chugainn, 19/02/2017 ag a 10 a chlog. 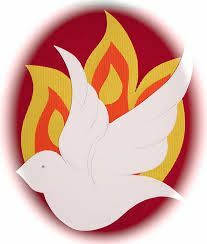 The next Confirmation mass is on next Sunday, 19/02/2017, at 10 o'clock. 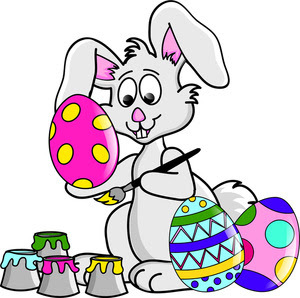 We hope that all children from Rang 5 & Rang 6 will be able to attend. Tá dhá thicéad crannchuir Spórt na Cathrach faighte inniu (13/02/2017) ag na 105 pháiste is sinne sascoil (Rang 3 go dtí Rang 6), €2 an ceann. 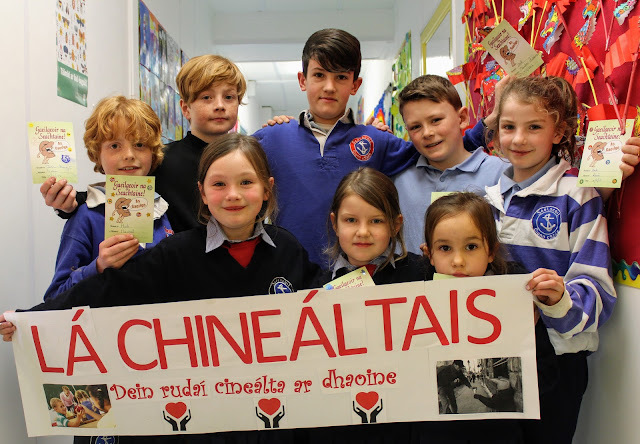 Caithfidh an scoil na ticéidí a dhíol chun páirt a ghlacadh sa chomórtas. We are giving 2 x Cork City Sports raffle tickets today (13/02/2017) to the oldest 105 students, €2 per ticket. The school has to sell the raffle tickets in order to take part in the competition. 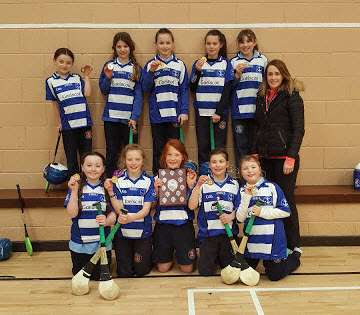 Comhgairdeas ollmhór(huge congratualations) chuig cailíní Rang 4 a bhuaigh Roinn B Carraigdhoun Camógaíocht faoi dhíon (indoor camoige)ar an Aoine seo chaite an 10ú Feabhra i halla Átha Mhaide. Maith sibh a chailíní! Beidh blitz ag na cailíní ar fad (all the girls) ó Rang 3 amárach 13/02/17 in Ath an Mhaide (Riverstick) ag fágaint (leaving) ag a 11.30 agus ar ais timpeall a 2.20. Beidh costas €2 á bhailiú amárach. 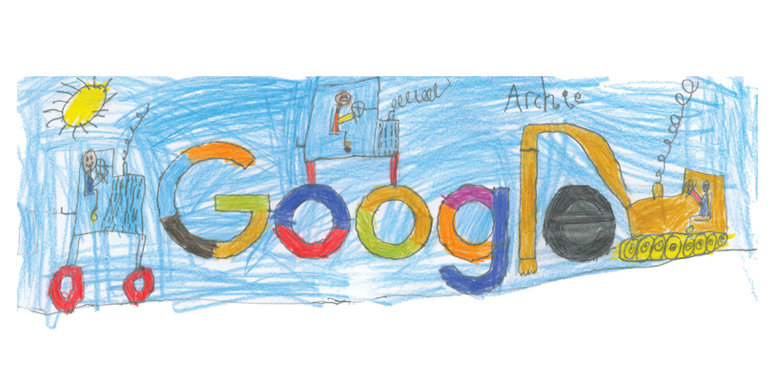 #Doodle4Google - Please keep voting for Juliette and Archie! 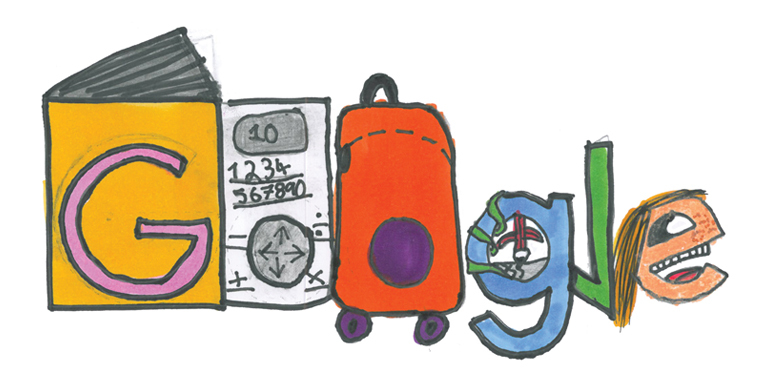 To vote for Juliette navigate to Group 2, find her Doodle titled ‘Homework machine!’ and click ‘Vote for this doodle’. To vote for Archie navigate to Group 1, find his Doodle titled ‘Tractorland in the sky’ and click ‘Vote for this doodle’. 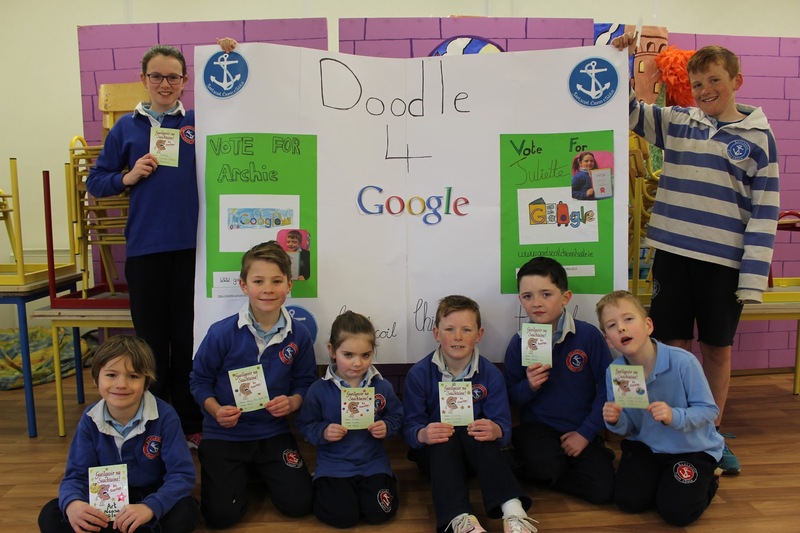 #Doodle4Google - have you voted for Juliette and Archie today?!! A chairde! Meabhrúcháin go bhfuil an comórtas Doodle4Google ag oscailt amárach an 7ú Feabhra 2017! Beimíd in ann vótáil gach lá go dtí an 21ú Feabhra 2017. Obair bhaile ag gach páiste vótáil DON BHEIRT -Archie Ó Céilleacháin AGUS Juliette Nic an Taoisigh le bhur dtola! 2 seans ag an scoil deontas theicneolaíochta €10,000 a bhuachaint mar sin scaipígí an scéal i gcóngair is i gcéin! 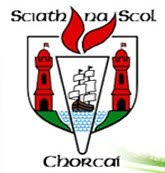 Gaelscoil Chionn tSáile abúúúúúúúúúúúuu! A reminder to all that the Doodle4Google voting opens tomorrow the 7th February 2017! We will be able to vote in both categories until the 21st Of February 2017. It will be part of all the children's homework to vote for BOTH doodles -Archie Ó Céilleachain AND Juliette Nic an Taoisigh please! 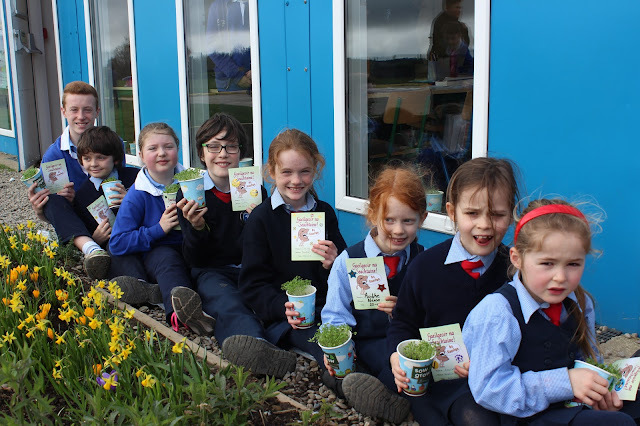 The school has 2 chances to win the amazing prize of a €10,000 IT grant so please spread the word near & far! 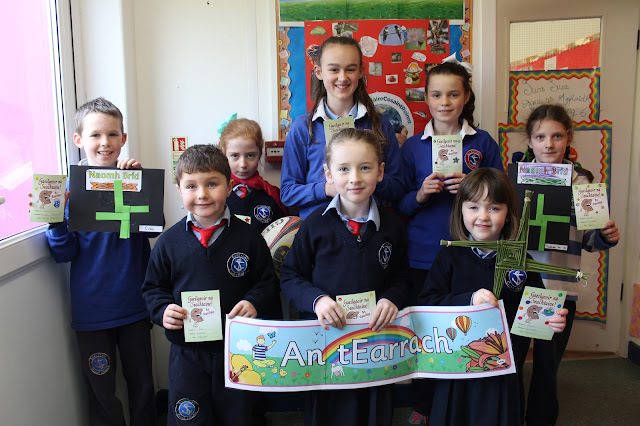 Gaelscoil Chionn tSáile abúúúúúúuuúú! Beidh buachaillí Rang 4 go léir ag dul chuig blitz iománaíochta (hurling blitz) i Dunmanway amárach 7/2/17 ag fágaint (leaving) an scoil ag a 9.15 agus ar ais (around) timpeall a 2. Beidh costas (cost) €2 i gceist. Tabhair an airgead leat amárach.